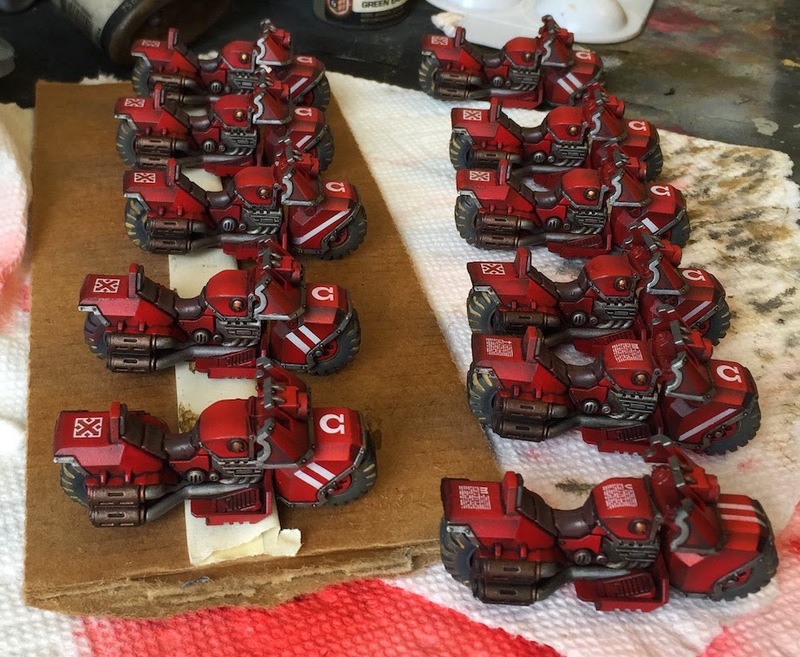 It is that time of year again where painters from around the world come together to paint charity armies for the Nova Open Charity Foundation. This year, as in year's past, we are supporting Doctors Without Borders. One of the especially cool things is that 95% of each donation goes direction to DWB. A lot of folks made this happen. 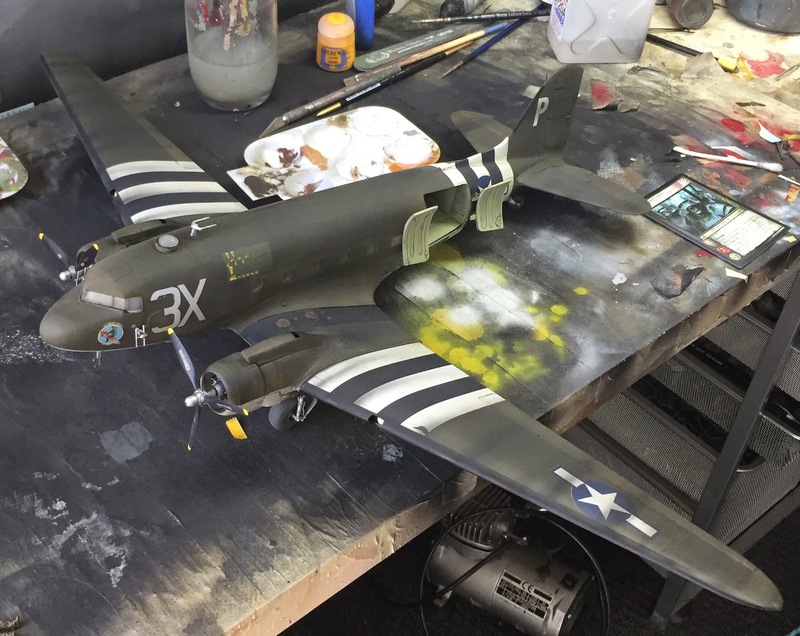 Projects like these could not happen without folks like Atlantis Games, KR Multicast, Element Games, and Secret Weapon Miniatures. They've donated a significant amount of product in order to make it possible for our scattered group of painters to work. 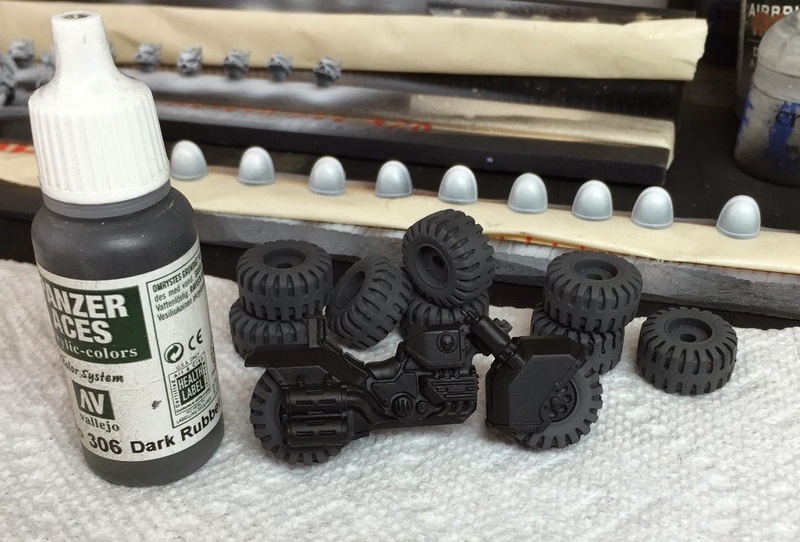 Secret Weapon Miniatures Green Earth weathering powder mixed with Tamiya X-20A paint thinner near the wheel hubs and in all of the tread areas. 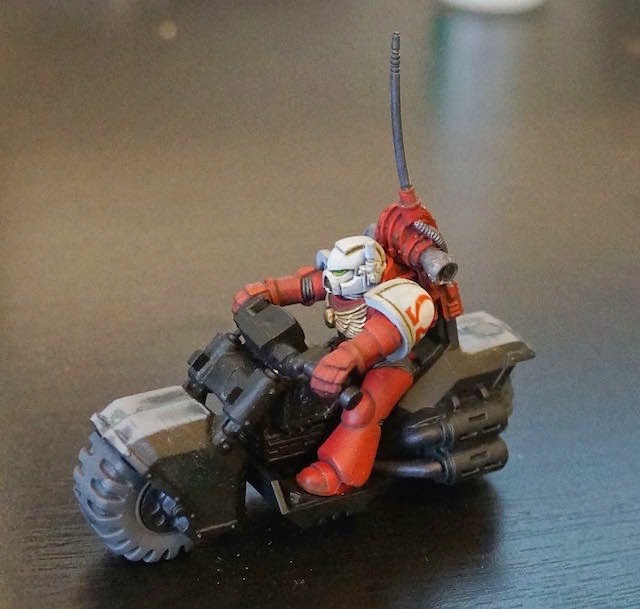 Secret Weapon Miniatures Yellow Earth weathering powder mixed with Tamiya X-20A paint thinner near the wheel hubs and in all of the tread areas. 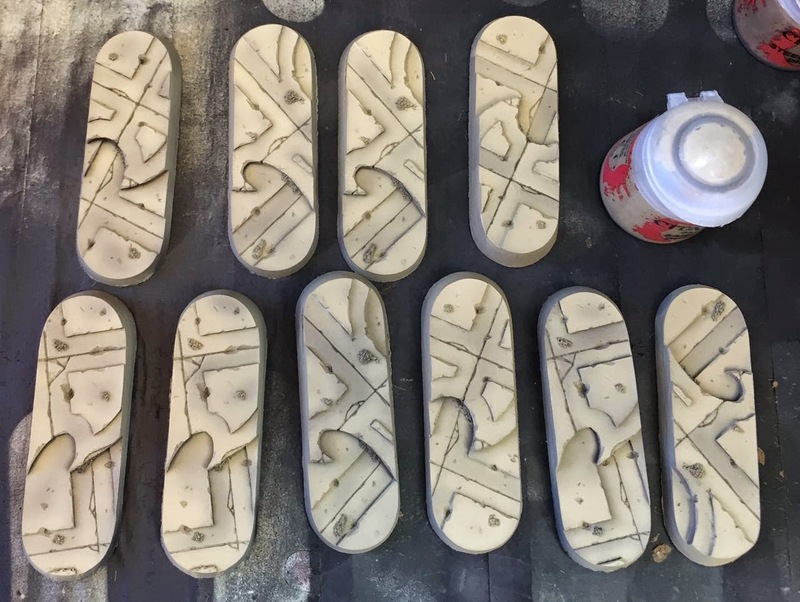 Vallejo Black + touch of Vallejo Dark Rubber + Retarder to smudge along the bottom side of the treads to darken them. 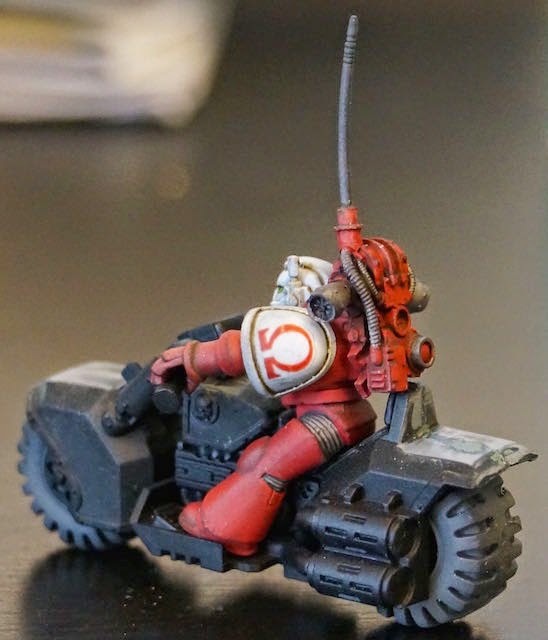 These guys are basically red Ultramarines who are sent out to in perpetual blocking actions. 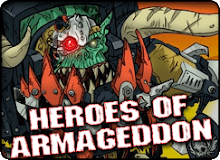 They are the red shirts of the space marine chapters. Not all tests work out. 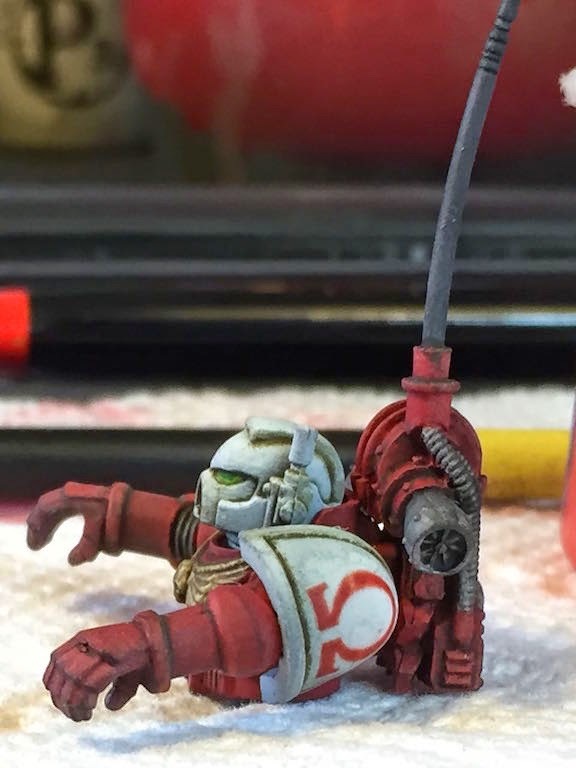 Usually I don't post up failed painting examples, however this time I think it might be worth it. 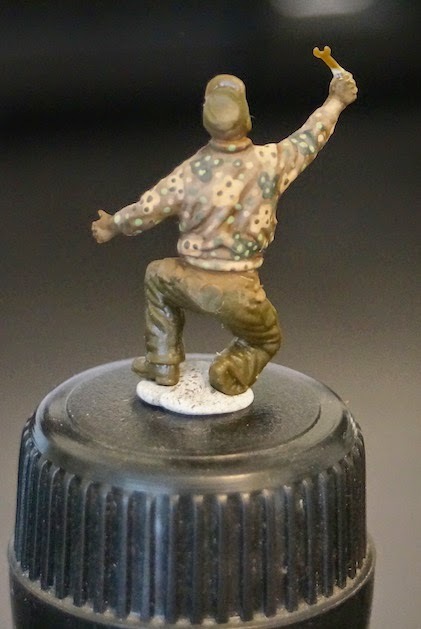 After a week of diamond mining in Arkansas, I wanted something fun an challenging to paint when I got back. 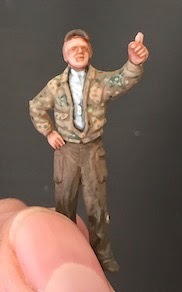 the C-47 model came with a dozen figures perfect for paint tests, so I grabbed one and gave splintered Camouflage a try. 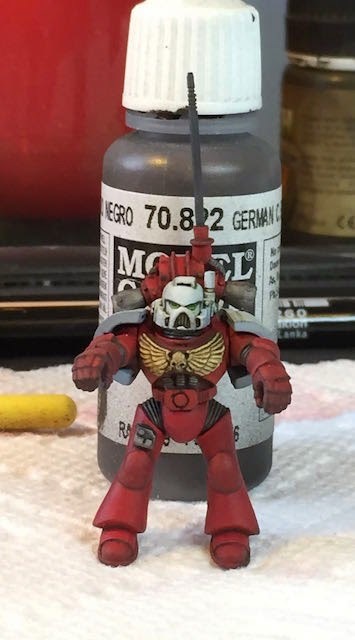 (this is only about 30 minutes of painting, so it is a little sloppy) Five colors later, and I had this. 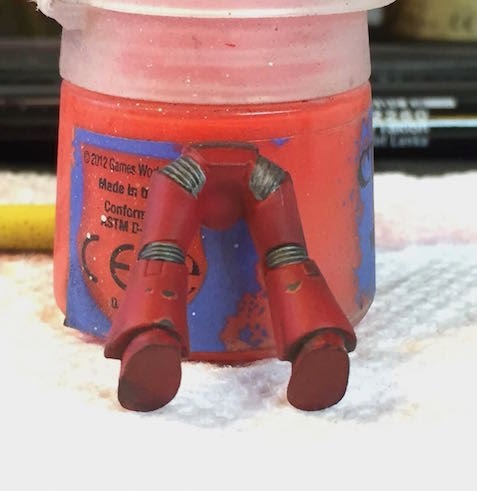 I think with proper glazing this could work, which is why I posted the attempt. 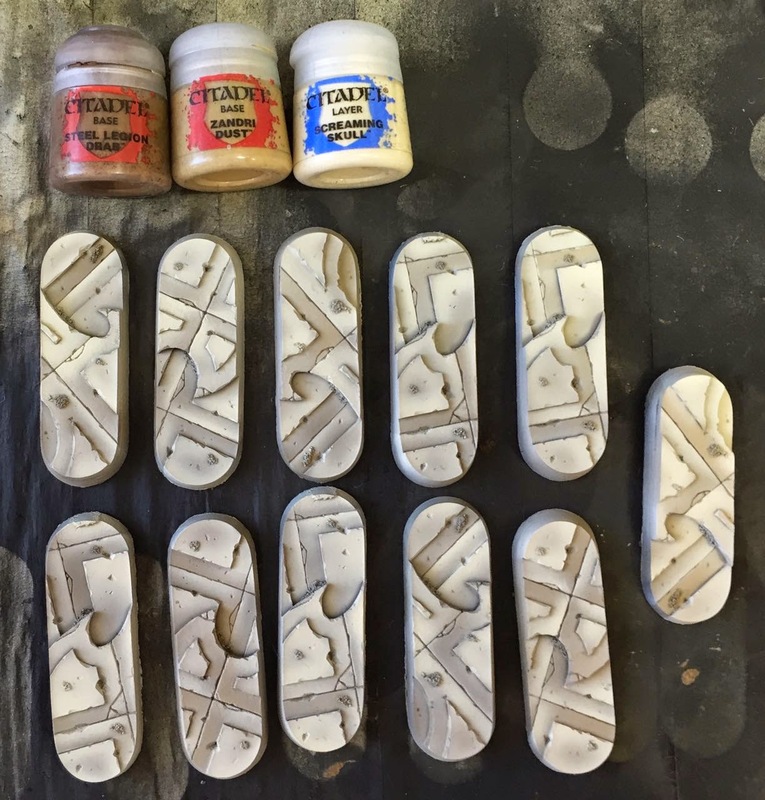 The next model will start with a shaded base coat before the dots and splotches are added. I think that will help out substantially, since it will give me a guide tfor highlighting later. 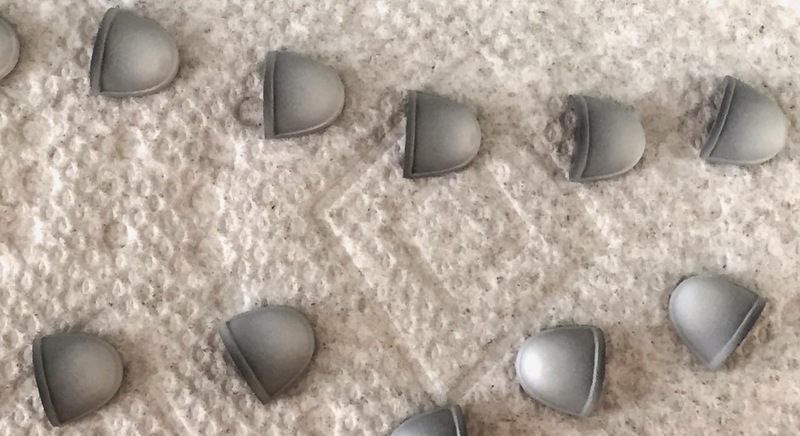 After applying most of the dots, I found it difficult to see the curves of the surface. All things considered, I don't hate the attempt. I think I am beginning to understand the pattern more. 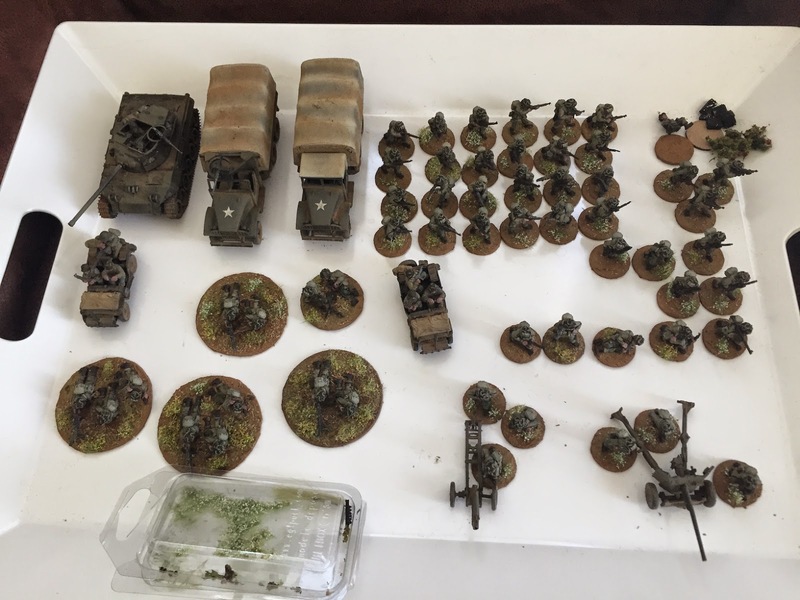 I am definitely not ready to tackle my DKoK with a splinter scheme. 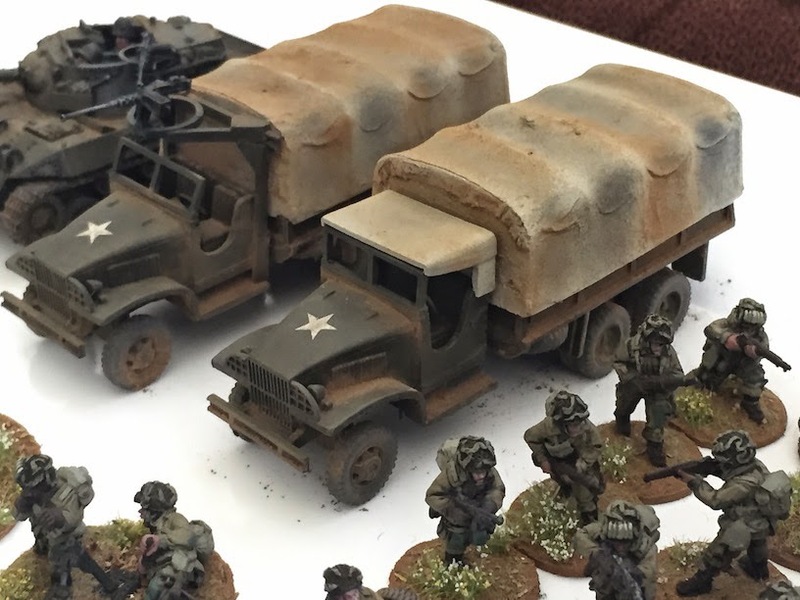 After tidying up my US Paratrooper army, I decided to tackle the huge C-47 transport that will see them into battle. 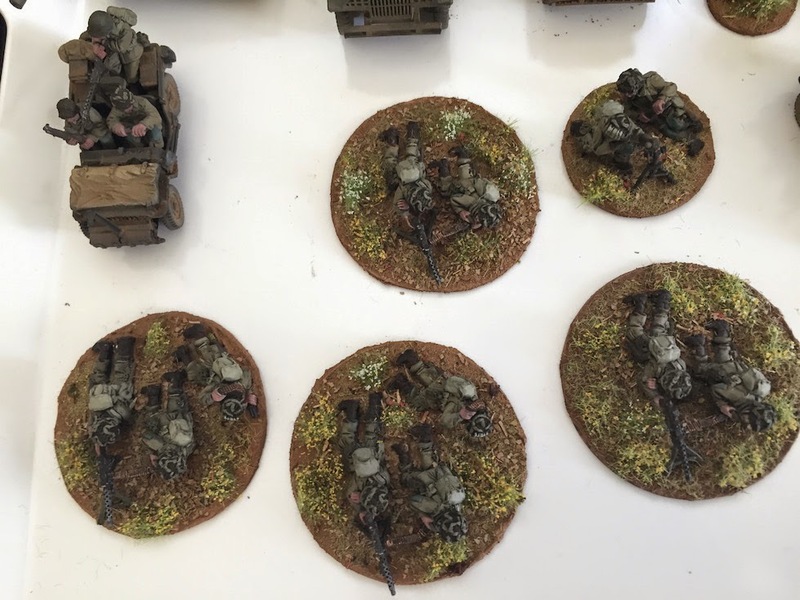 The skytrain does not provide anything rules-wise, but it does give the player controlling the airborne a model to hold over the table as the parachute markers are dropped (you can see the drop mechanic over on Steve's blog). 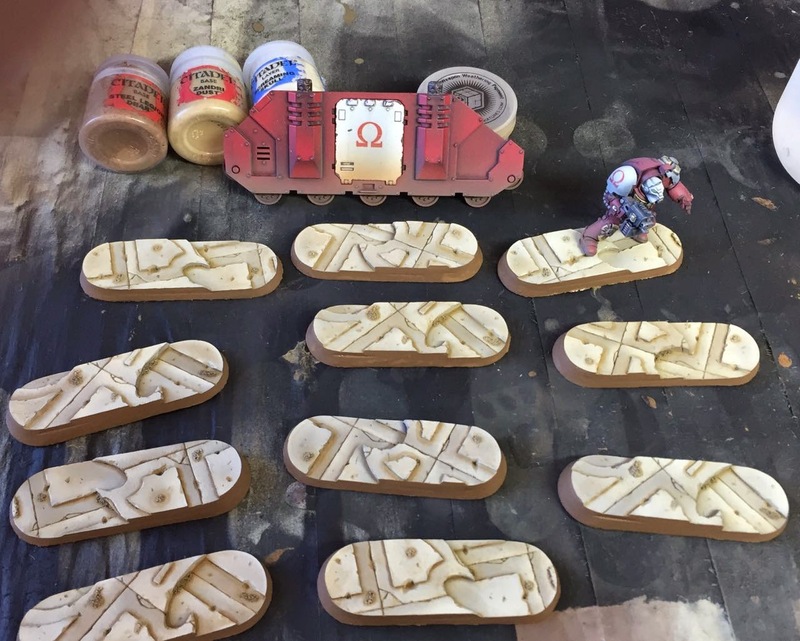 I think it will also make a good piece of terrain for some games as well. I tackled the model how I usually tackle things these days. 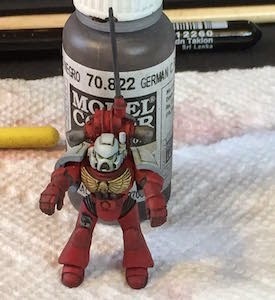 I decided I wanted it painted and gave myself a day to do so. On a model this large that was a mistake. 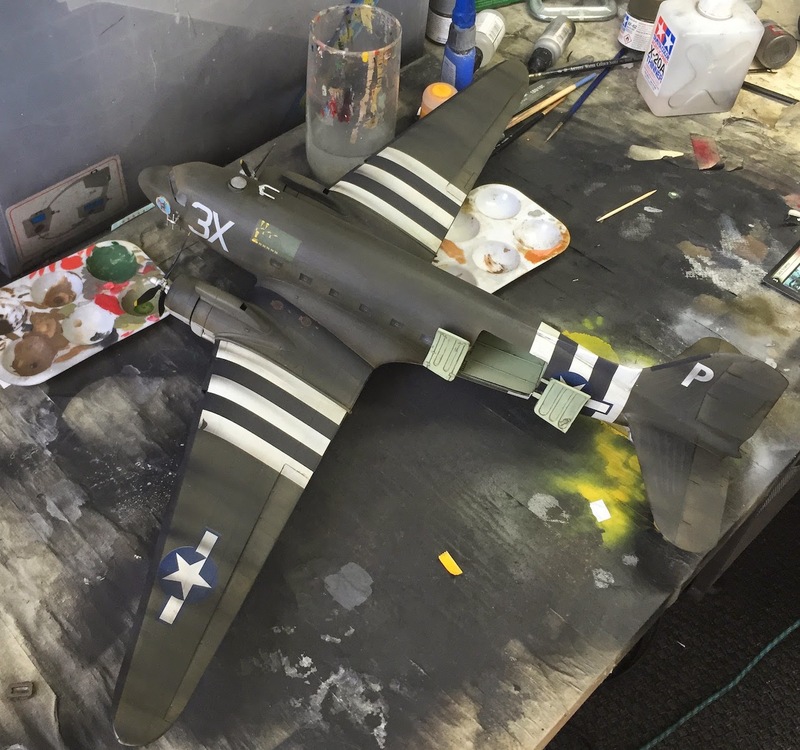 It was difficult to make sure I wasn't damaging the paint job as I was flying through the painting process. 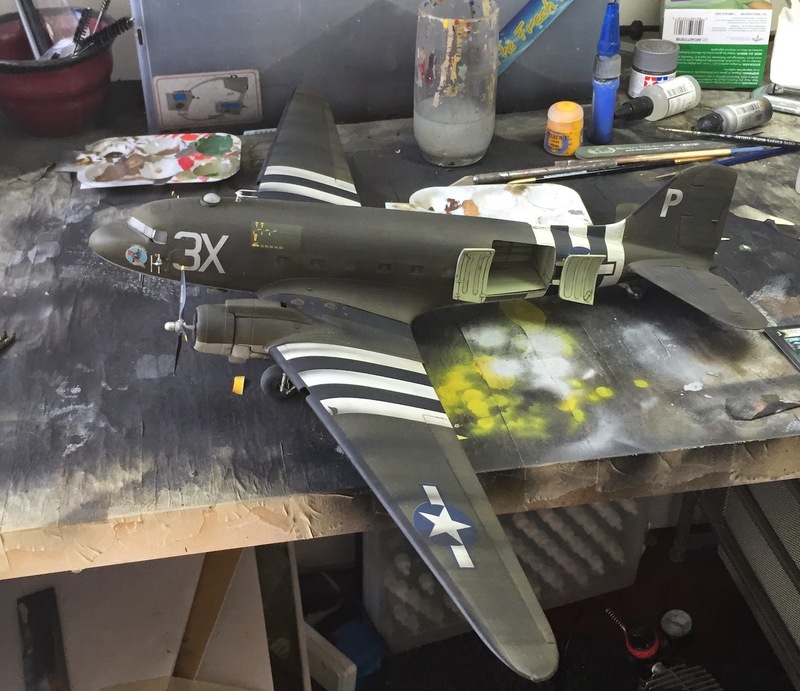 The plane was cumbersome to paint, and the decals were weird. They are some kind of not-decal that I hope to never come across again. They did not respond to micro-sol at all, and remained kind of rubbery. 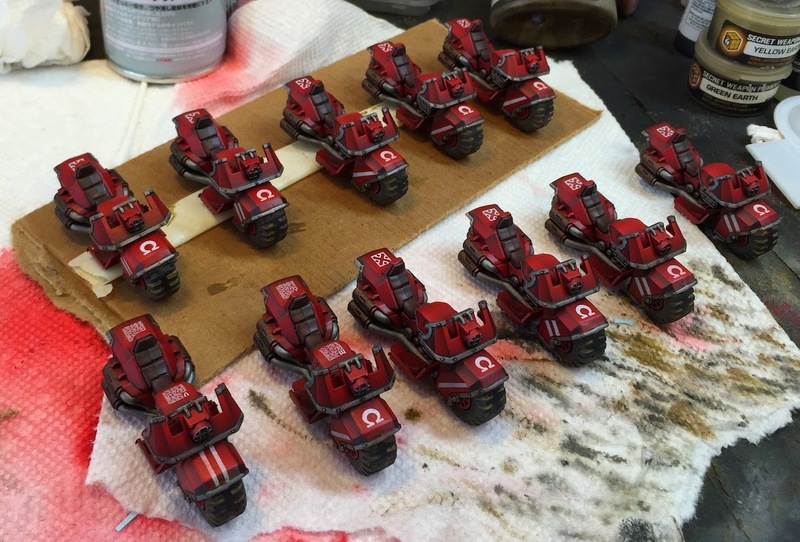 The paratroopers are mostly done. 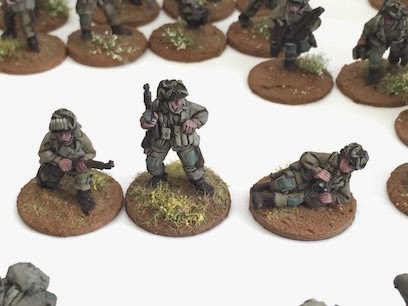 They'll get some more vegetation added to the bases at some point, as well as shoulder patches and rank markings. 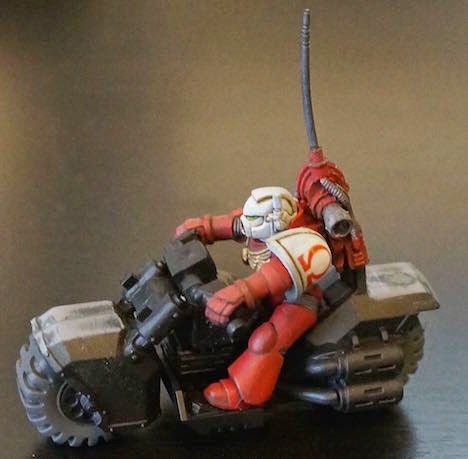 I just have to figure out what ranks to apply to the models. 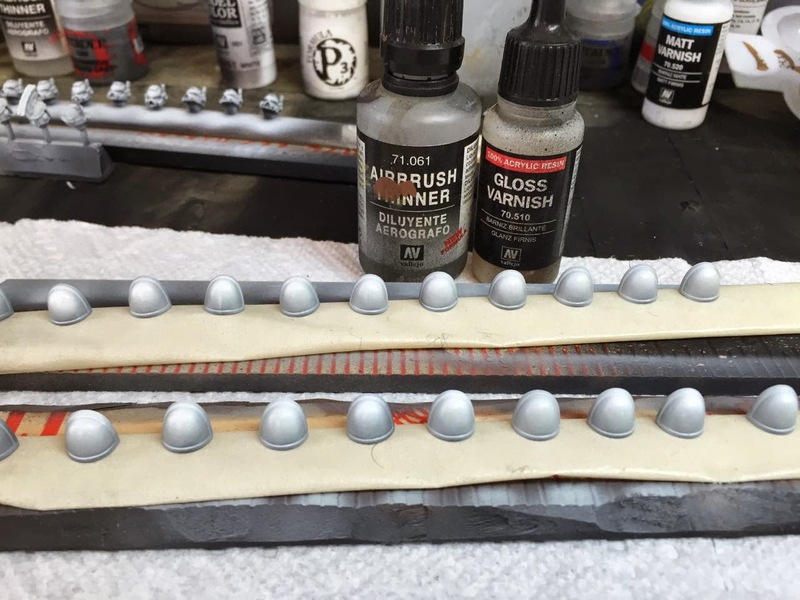 Add a dark grey base coat using Mechanics Grey. Vallejo thinner works fine with it. 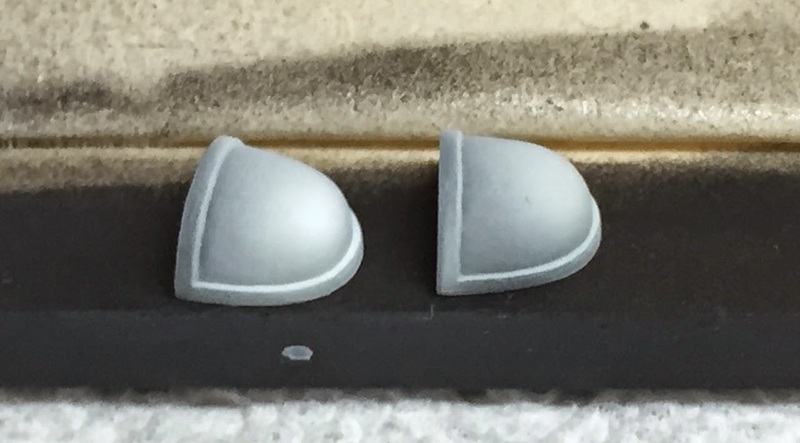 Step 2: Using Tamiya X-20A Thinner instead of Vallejo, shade Uthuan grey over the majority of the shoulder pads. Spray the heads from the top and sides towards the front. 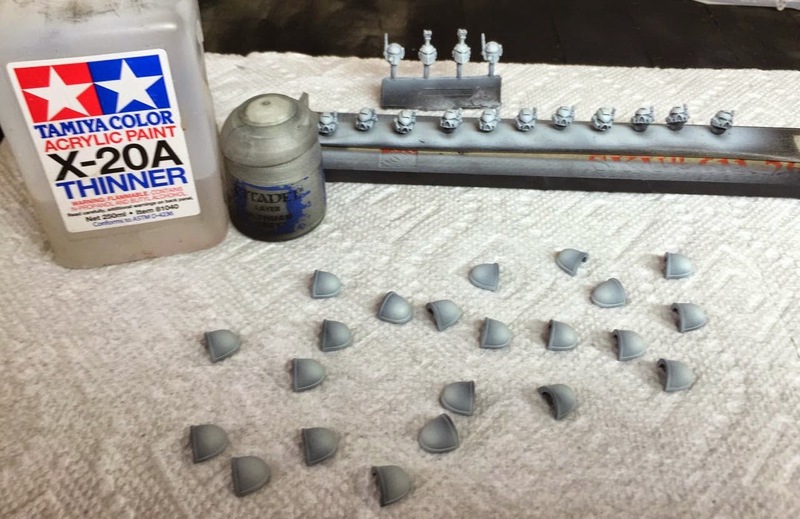 Do not use vallejo thinner, it will clump the paint in the air brush. The gradient can be seen on the shoulders. 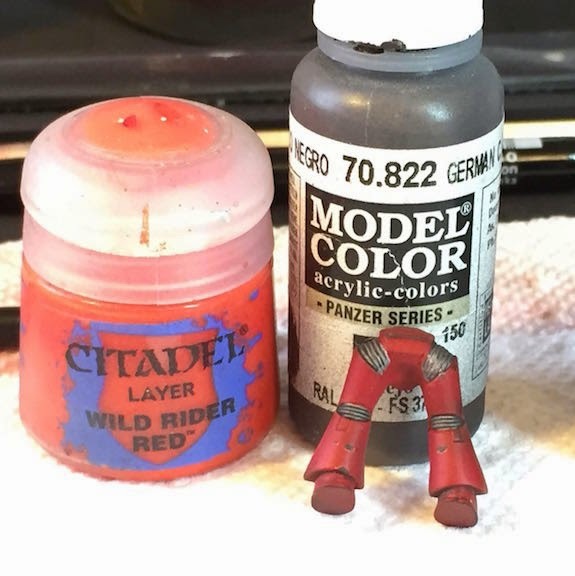 Using Vallejo white and Vallejo thinner, add a spot highlight a the top of the pad, or on whichever part of the pad is closest to the light source. 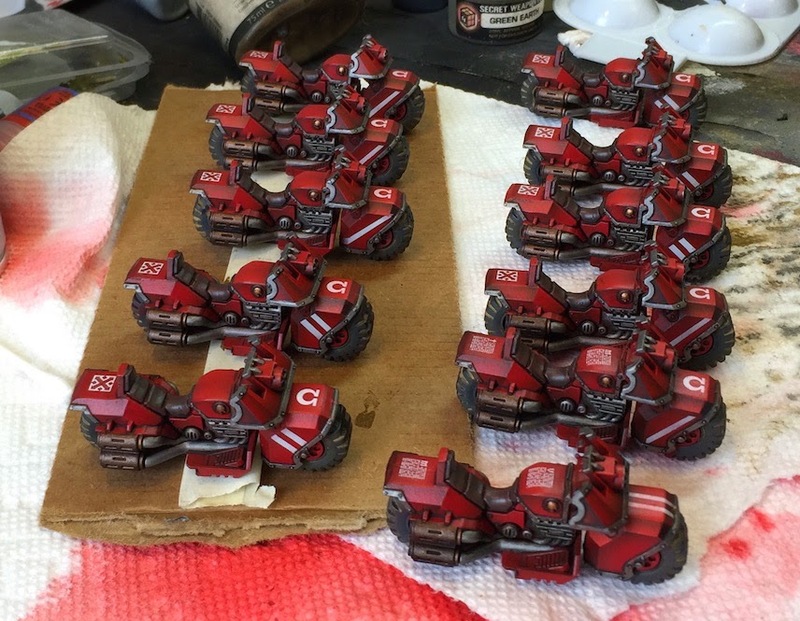 Gloss varnish the pads in preparation for decals. 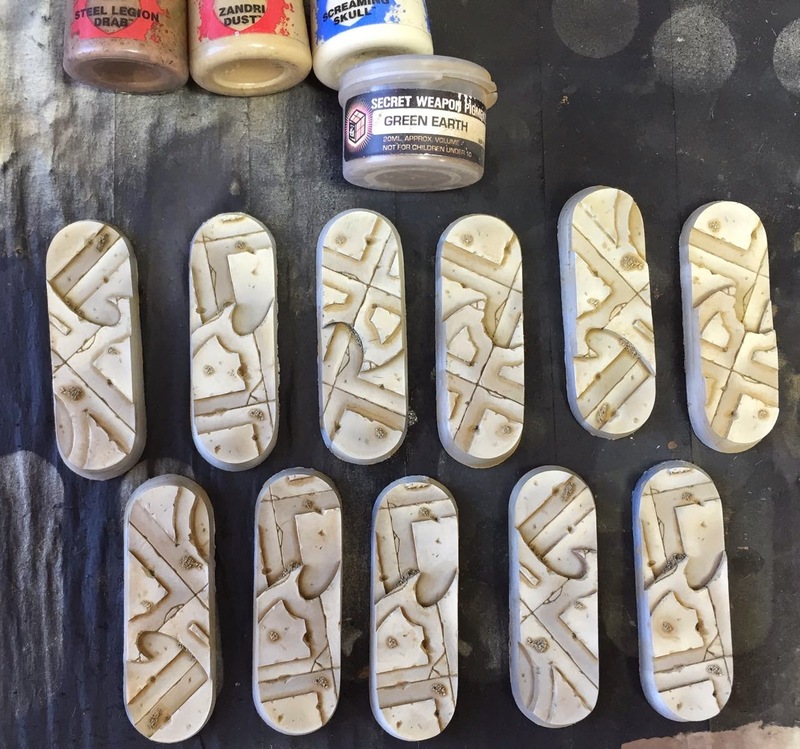 Add a thin coat of micro set to each pad. 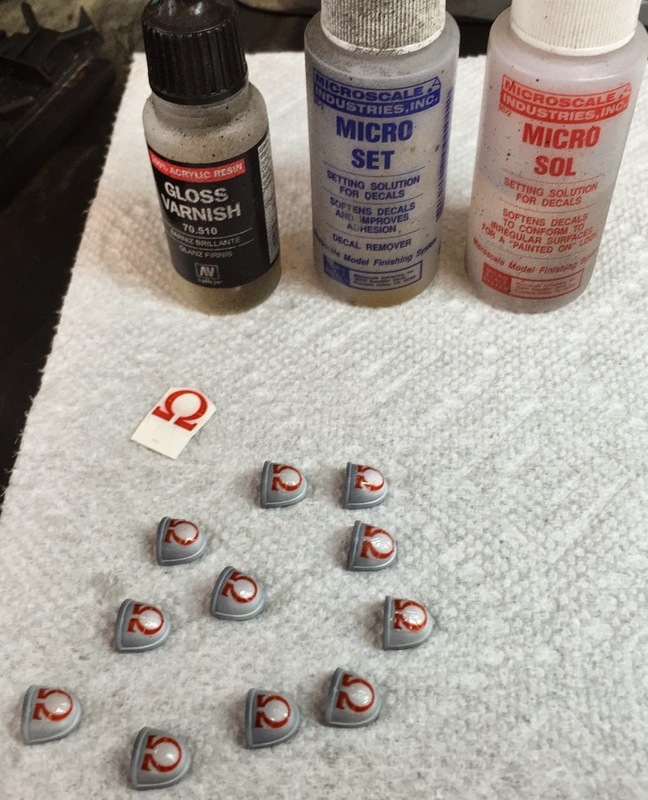 Then apply the decals. Make certain that there is a cut between the two bottom sides of the Orar symbol. The top won't settle down easily if this is not done. 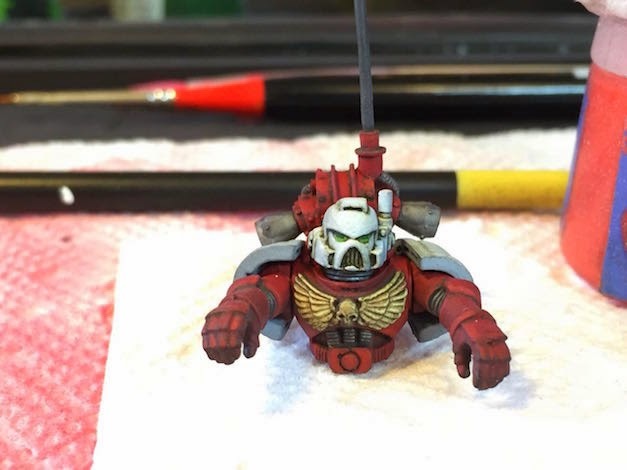 Once the decals are on, apply micro sol and wait. 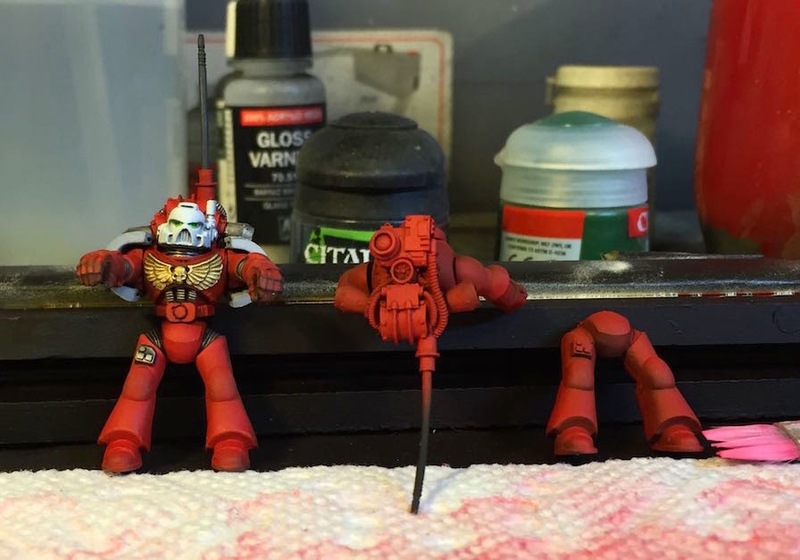 The decals will look terrible initially. This is a patience game. Apply more micro sol as necessary. Go grab a coffee and come back and be surprised! 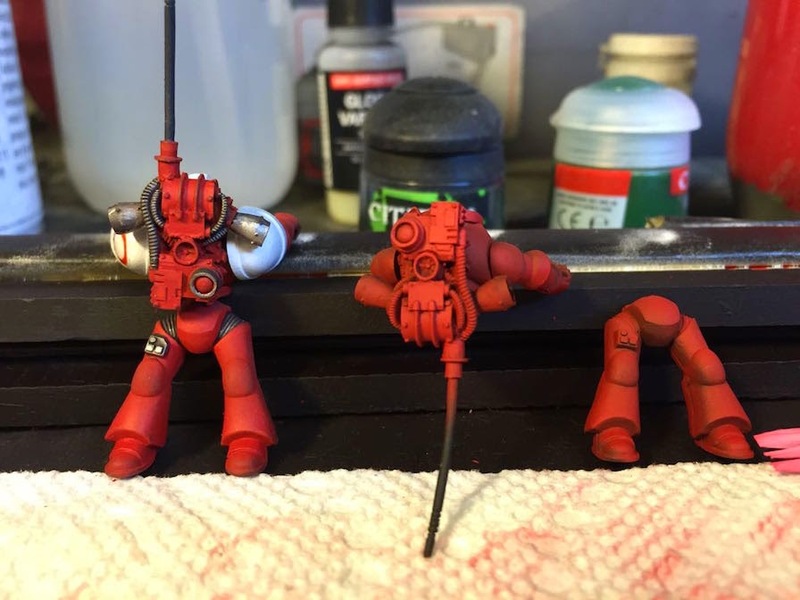 Marines were painted predominately with Mephiston red thinned with Vallejo thinner. 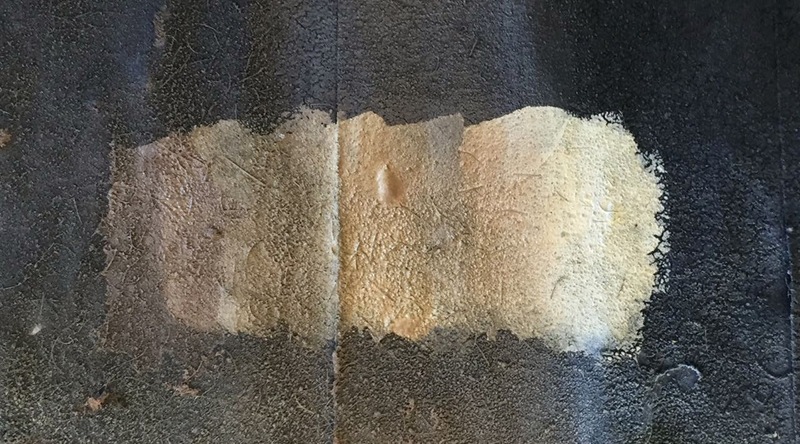 At this stage you can see the colors achieves by layering Mephiston. A tiny bit of Evil Sunz Scarlet was used to edge a few of the plates. 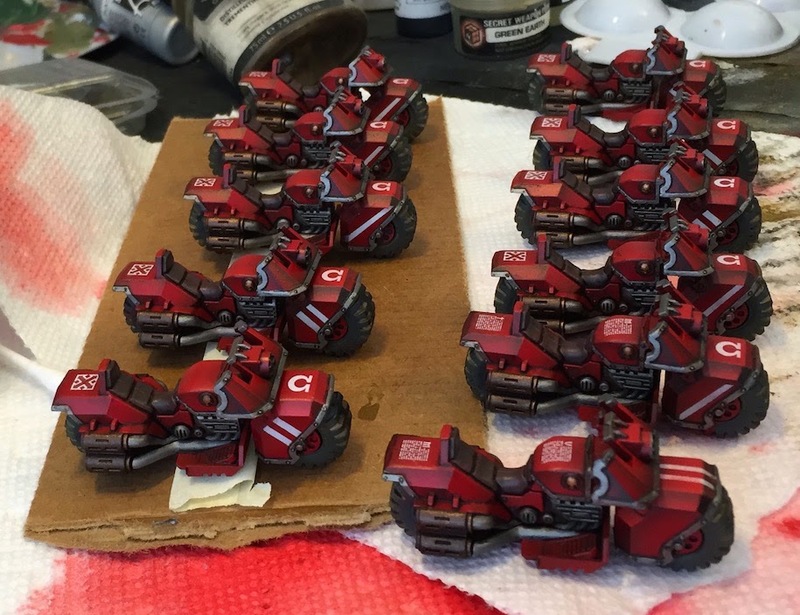 Sons of Orar are dark, not vibrant red. This will be toned down with oils and washes. 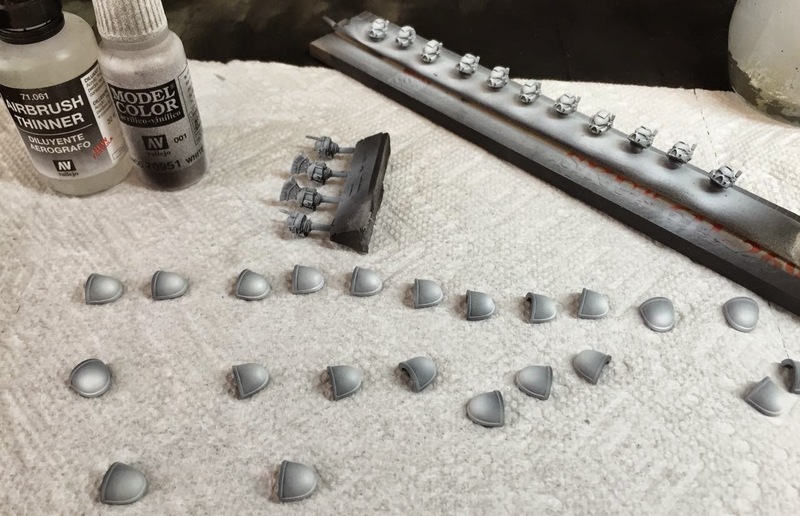 Soft armor and exhaust vents were painted with blowgun metal, and then washed with nuln oil. 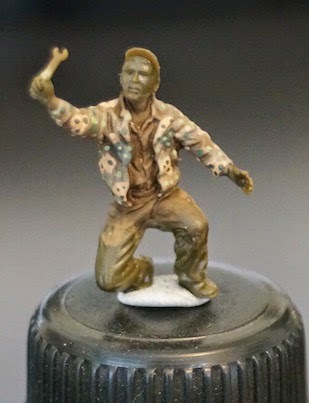 This Zombie marine suffered the result of Vallejo matte varnish. The blue tint of the varnish really deadened the paint job. Some other varnish should be used. I have no idea what to use at this point, but Vallejo is out for red! 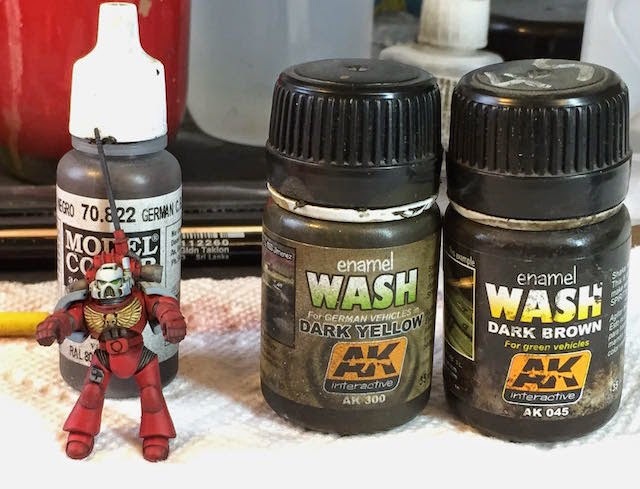 Two oil pin washes were used, dark yellow for the white areas and dark brown around each armor plate. 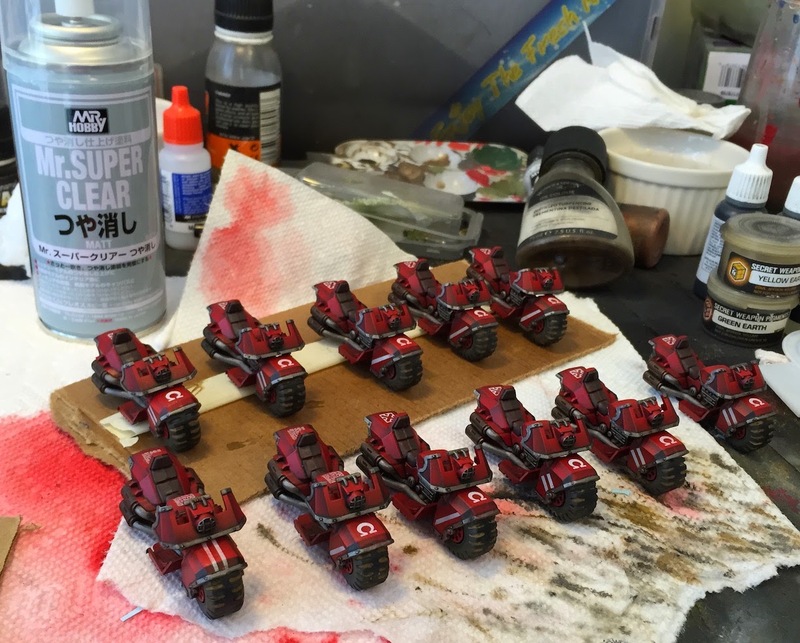 Chipping effects on tanks and vehicles are easy to apply with wild rider red and german black brown. I usually apply the highlight color first and then add the chip on top of it. Wheels and any rubber parts like road wheels should be painted dark rubber rather than black or brown. 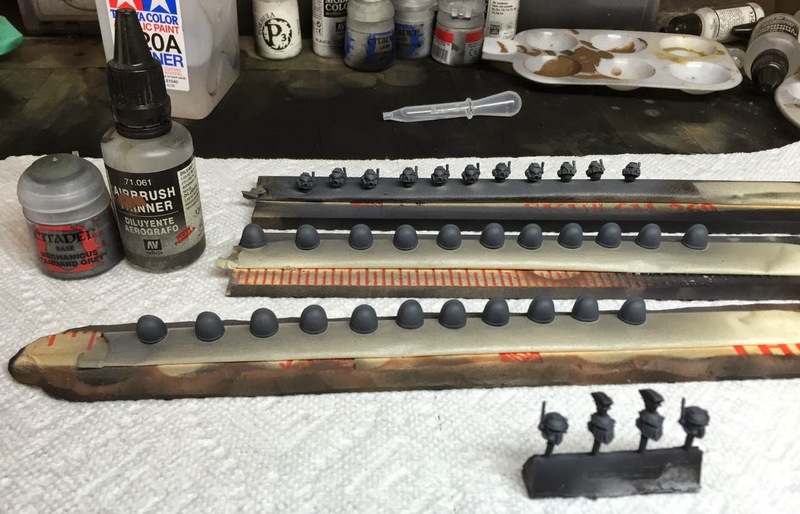 Step 2: Shade panels with Zandri Dust (ZD). Make sure to leave SLD showing in places. Step 3: Shade panels with Screaming Skull (SS). When shading make sure that as many dark edges meet light edges. 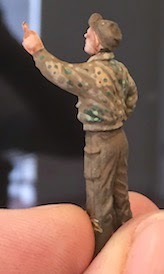 Step 4: Mix a weathering powder wash using Secret Weapon Miniatures Green Earth Pigment (GEP). 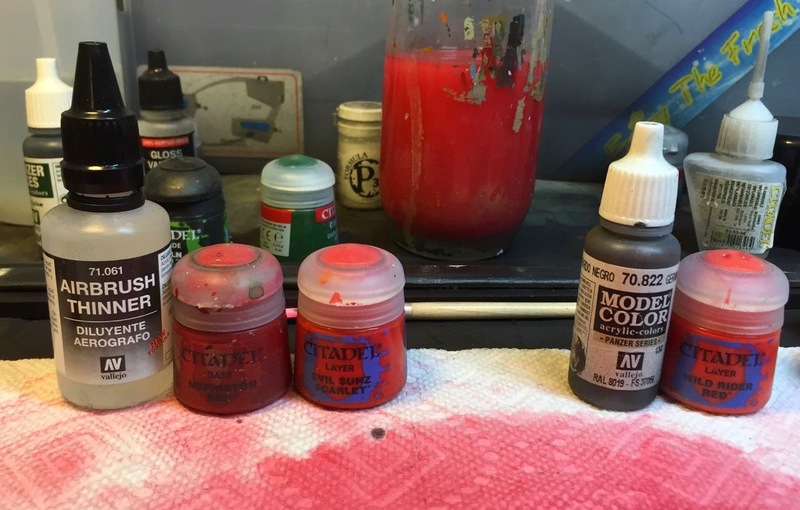 Add enough thinner to the water/powder mixture that surface tension is broken so the pigment flows easily. 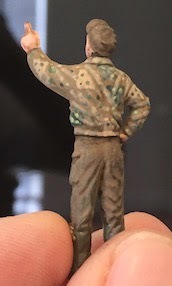 The last step is to neatly edge the bases using Steel Legion Drab. 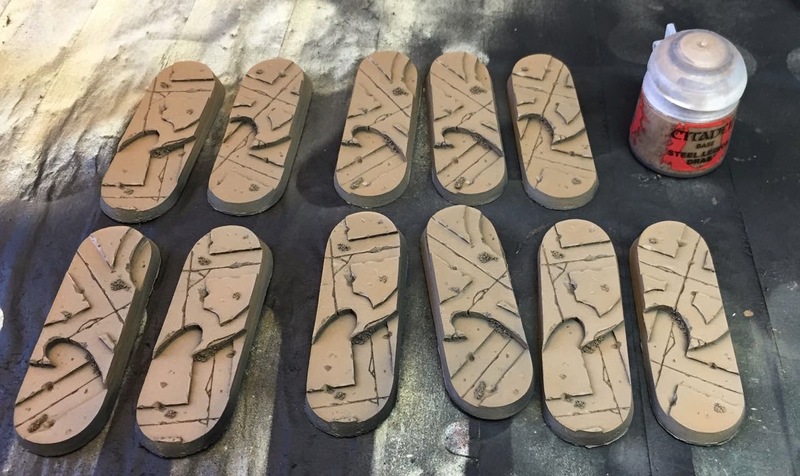 As before, these fields were made out of a Home Depot dark grey rubber floor mat, that was first sprayed brown using Krylon paint. 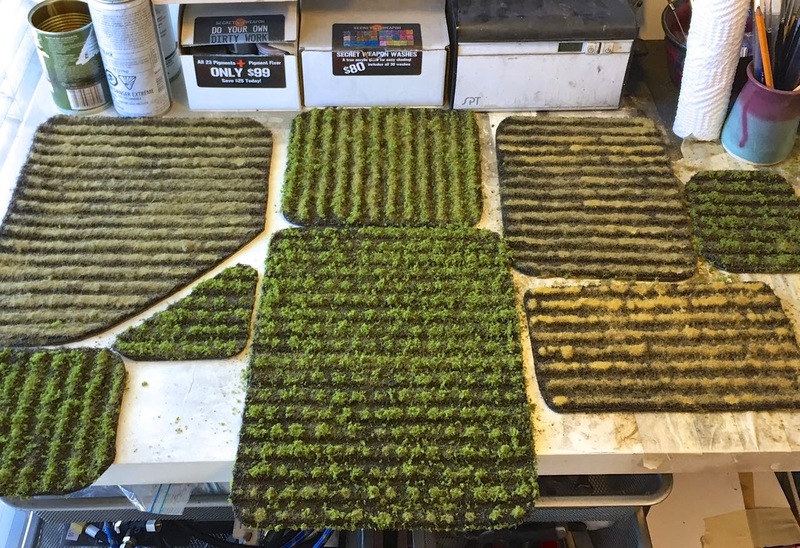 Each row received a a first pass of colored static grass, followed by either green flock, or more static grass. 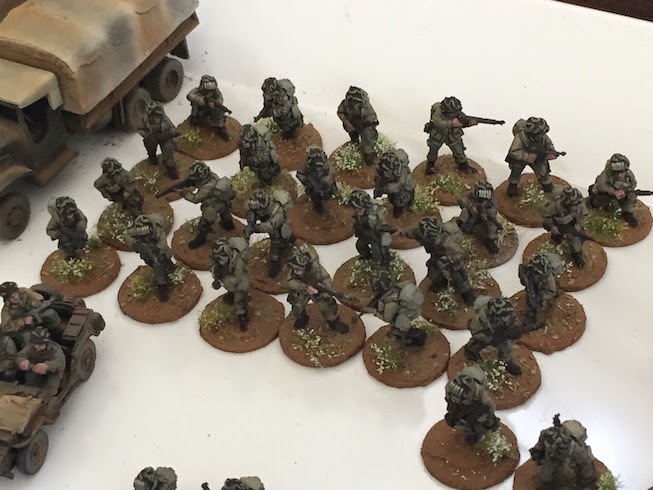 I am getting pretty close to the point where I need to start making proper bocage to intersperse between the fields. Fields provide nothing rules-wise, but they really add to the visual appeal of the table.